New Kraftwerk album expected "soon" - FACT Magazine: Music News, New Music. Kraftwerk, currently powering through their back catalogue at the New York Museum of Modern Arts, have new material on the boil. In an interview with The New York Times, notoriously guarded founder member Ralf Hütter offered some insights into the band’s current recording plans. 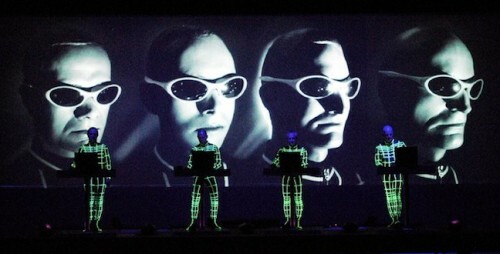 Hütter confirmed that a new Kraftwerk record was on the way, claiming that the album would emerge “soon”. According to Hütter, the group haven’t lost their industrious spirit: “We didn’t fall asleep. The 168-hour week is still going on since the beginning, since 1970.” There are some fascinating tidbits in the interview, with Hütter’s describing the band’s creative process in endearingly robotic terms: “Music is never finished. It starts again tomorrow. The record is just a record, but for us it’s nearly boring. We like better the programs that we can operate with. So we are operating, we are upgrading, we are updating continuously. There’s continuous reprogramming going on, and composition and new concepts are also coming”. Kraftwerk’s last studio album was 2003’s impressive Tour De France Soundtracks, their first new material in 17 years. The new record will be their first since the departure of lynchpin Florian Schneider in 2008. Completists, take note: MoMA are currently hawking a limited edition version of their 2009 box set The Catalogue.